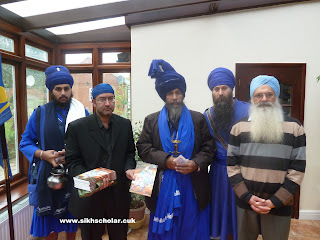 There are many Sikh ceremonies that correspond to ancient Indian festivals. It is likely that the Guru's created the Sikh festival on the same days to ensure the Sikhs would not be absorbed into meaningless practices. There are the festivals of Vaisakhi, Deepmala (Diwali), and another is Navaratri and Dasshera. Dasshera Mahatam is related to Shastra Puja or the respect or devotion to weapons. In the 1897 report on the Sri Dasam Granth Sahib, they note that Dasshera was linked with the Sri Dasam Granth Sahib. Under the control of the SGPC, this practice of Dasshera was stopped. However it still takes place at Hazur Sahib and the Akali Nihang Singh Khalsa. 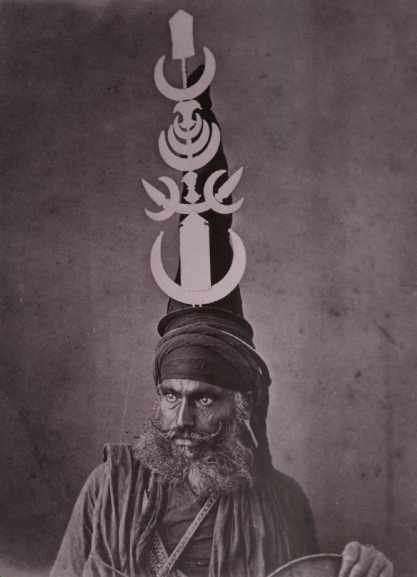 In a dispute about the leadership of Buddha Dal the Sikh mystic Akali Baba Mitt Singh said that who ever ensured this tradition with Shastar Puja,would remain intact, should be the rightful leader, to which Baba Kaladhari agreed. 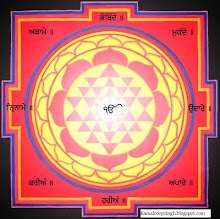 Jap Sahib, Akal Ustat, Bachitra Natak, Chandi Charitra Ukhati Bilas, Chandi Charitra, Chandi di Var, Gian Prabodh, Chaubis Avatar, Ram Avatar, Krishnaavatar, Nihkalanki Avatar, Paras nath, Shabad Hazare, Svaiye, Khalsa Mahima, Shastra Nam Mala, Charitropakhyan first invocation, on the last day. Jap Sahib, full Chaupai Sahib, Ramavatar, Zafarnama Sahib, Svaiye, should be read. Karah Prashah, Shaheedi Degh should be made, throughout and a coconut should be chopped (jhatka) with Ravan gets killed in the Ramavatar. Happy Dusshera!! ਦੁਸਹਿਰੇ ਦੇ ਲੱਖ ਲੱਖ ਵਧਾਈਆ, on this day worship your weapons (sharpen them, offer them dhup, incense, and a ghee joti), read the Ramavatar and Chandi-bani. Like Ravan was slain by Ram, may all negativity within and without be slain, Khusia de jaikara gavey nihal ho gavey SAT SRI AKAL! DEGH TEGH FATEH! Ram threw away the enemies from the war-arena, chopping them easily like a fruit. Ram chopped and threw all the canopies, banners, horses and charioteers belonging to Ravana.619. When Ravana saw his chariot deprived of the horses, he marched forward quickly and holding his shield, trident mace and spear in his hands he fought with Ram. The persistent Ravana, without any fear of the forces of the monkeys; moved forward fearlessly, shouting violently. There were many warriors those like Angad, Hanuman etc., but he did not fear anyone.620. When the king of Raghava clan saw Ravna coming forward, he (Ram) attacked him by discharging his twenty arrows like slabs on his chest. These arrows penetrated through his vital parts and he bathed in the stream of blood. Ravana fell down and crawled forward, he forgot even the location of his house.621. With ten arrows be chopped his ten heads for dispatching them to the abode of Shiva; after the war Ram wedded Sita again as if he had conquered her in the ceremony of Swayyamvara.622. End of the chapter entitled `Killing of the Ten-headed (Ravana) in Ramavtar in BACHITTAR NATAK. 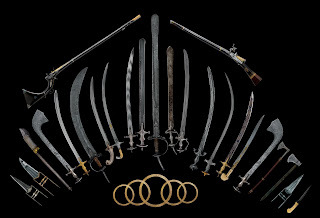 The Akali Nihangs the warrior vanguard of the Sikhs have been responsible for the upkeep of Gurdwaras, and responsible for the hard fought victories of the Khalsa panth. I was lucky to have the darshan of Singh Sahib Baba Joginder Singh Ji. I asked Baba Ji several questions related to the Dasam Patshah ka Granth (Sri Dasam Granth Sahib), Baba Ji was graceful in answering them. He explained the importance of Dasam Bani and how both Granths were in prakāsh in Gurdwaras before the coming of the SGPC. 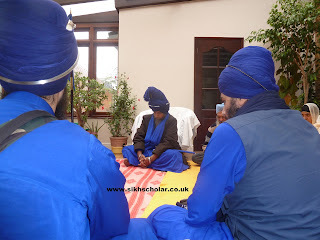 He also spoke on Sri Sarbloh Granth (Granth of All-steel) and how this was an extension of the Sikh scriptures. He also explained about the days when Sri Dasam Granth was at Sri Akal Takht Sahib. Baba ji explained how Sikh history had been distorted over the many centuries and how the British changed the way Sikhs not only perceived themselves but how they would be seen in the future. 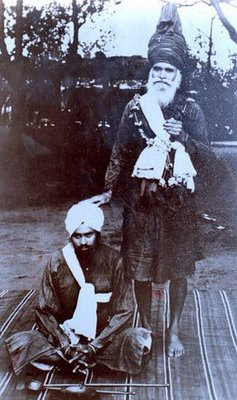 He gave rare anecdotes on how Akali Baba Hanuman Singh (Akal Takht Jathedar during the Anglo-Sikh wars) was betrayed by other Sikhs and killed by the British. I presented copies of my book, Sri Dasam Granth Sahib: Questions and Answers to Baba Ji. He was pleased that I had undertaken research on the Tenth Guru's bani and advised me to continue this mission. I was absolutely awestruck and surprised with the amount of knowledge and wisdom that Baba Ji possessed. 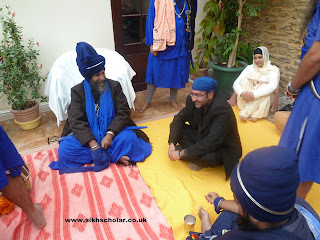 The sangat in attendance were blessed with a true mahapurkh. His final message was that many people had come to finish off the Sikhs but with the knowledge of the Sikh scriptures, they had seen through many adversities. The final days of the Khalsa would never come and in instead Baba Ji painted a picture of a utopian society of the Khalsa. Dhan Dhan Ram Das Gur!!!! Blessed, blessed is Guru Raam Daas; He who created You, has also exalted You. Perfect is Your miracle; the Creator Lord Himself has installed You on the throne. The Sikhs and all the Congregation recognize You as the Supreme Lord God, and bow down to You. Those who serve You with love - You carry them across. Blessed is Your place, and True is Your magnificent glory.